This year, The National Fire Protection Agency (NFPA) produced many reports that explore fire related issues in the United States, releasing the most recent fire related statistics. These statistics provide evidence that fires are still a major hazard today. 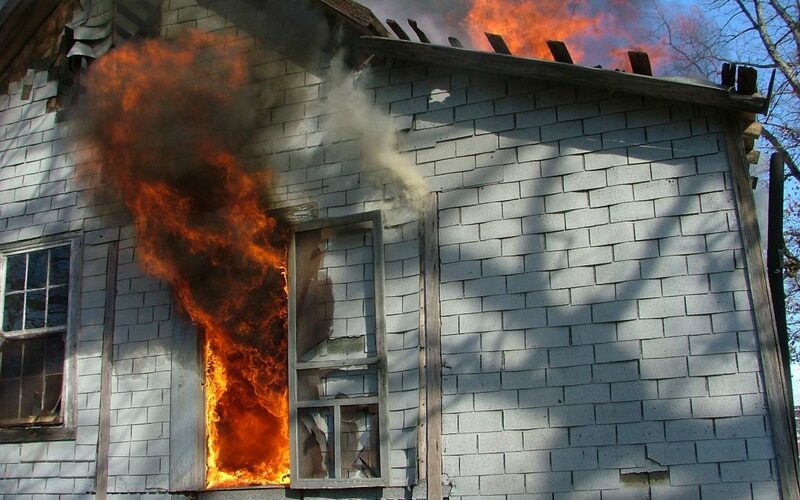 This blog provides an overview on the research that NFPA has done on the fire problems in the United States, including statistics on causes, populations, and prevention devices. It was estimated that in 2015, U.S. fire departments responded to an estimated 1,345,500 fires. These fires were the cause of 3,280 civilian deaths, averaging nine deaths. There was also an estimated 15,700 injuries that year. In addition, 68 firefighters were killed and 68,085 experienced non-fatal injuries while on duty. 1. Cooking is the leading cause of house fires in the United States. These fires are mainly caused by unattended cooking and the act of frying. More than half of the injuries caused by cooking occurred when people tried to fight the fire themselves. 2. Heating equipment fires are mostly caused by portable and fixed space heaters, including wood stoves. 3. Intentional fires are were the cause of 8% of home fires, 14% of home fire deaths, and 7% of home fire injuries. 4. Electrical distribution or lighting equipment were involved in 9% of home fires and fire injuries, and 16% of home fire deaths. This category includes fixed wiring, meters, switches, receptacles, outlets, cords and plugs, and lighting equipment. Electrical failures was also a factor that caused these fires. 5. Fires due to smoking mostly originate from upholstered furniture or with mattresses or bedding. In 2015, it was reported that there was 445 deaths caused by car, truck, and other related vehicle fires. Highway vehicle fires were the cause of 14% of the civilian fire deaths. Causes: Three out of five road vehicle fire deaths resulted from fires caused by collisions or overturns. These types of fires made up roughly half (48%) of all reported fires. Brush, grass, or forest fires accounted for 22% of these fires, 12% were outside rubbish fires, 6% were outside fires involving property of value, and 8% were unclassified or other non-structure, non-vehicle fires. Fire alarm systems provide an early warning of a fire, giving people additional time to escape. Almost all U.S. homes have at least one smoke alarm and three of every five home fire deaths resulted from fires in homes with no smoke alarms or that had failed alarms. Fire sprinkler systems decrease the fire death rate per 1,000 reported home fires by about 80%. These systems are highly effective and reliable elements for fire protection in buildings. Frontier Fire Protection offers fire protections services to alleviate any fire problems in the U.S. We serve Denver and the Colorado Front Range, as the leader in fire sprinkler installation and maintenance services.